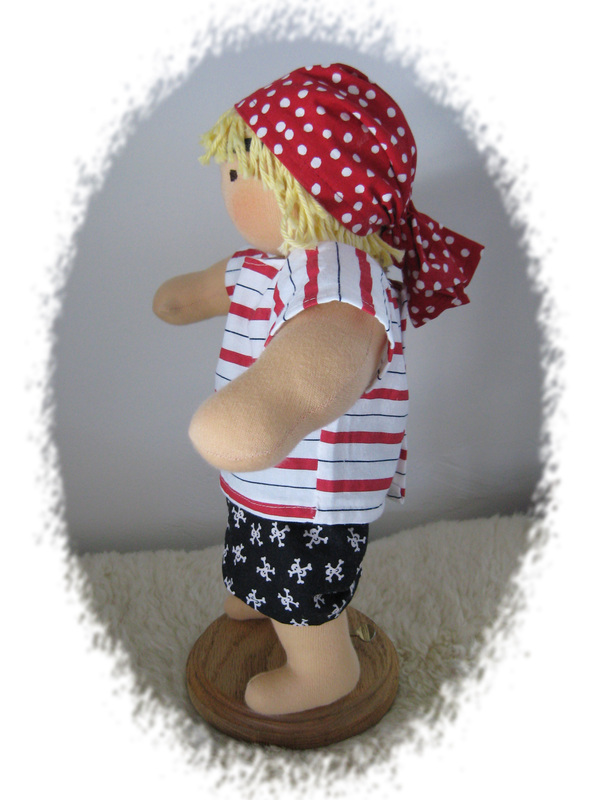 My dolls range in size between 13 to 21 inches . This size is a good match for children around the age of 3 and up. 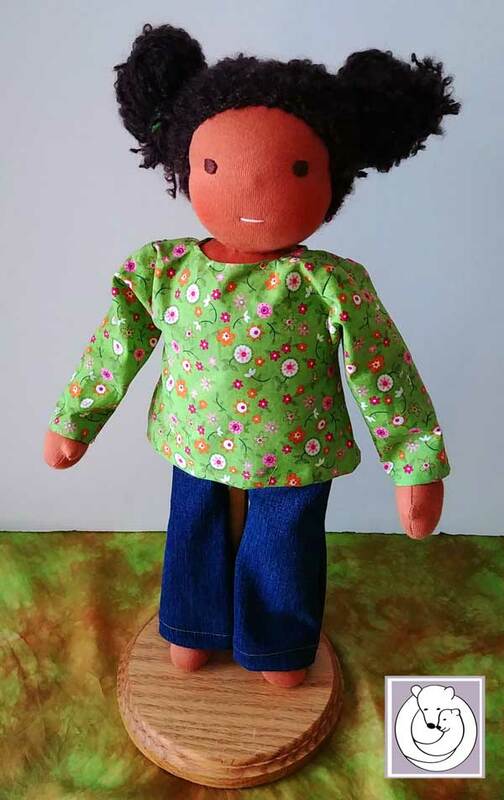 By then they are big enough to handle a larger doll and they like to do a lot of rollplaying and like to copy what older children or adults due. For stuffing I use 100% clean, carded sheep wool. All seams are sewn double!! For the hair I use mohair, mohair boucle, linen, bamboo, sheep or cotton wool in a variety of colors. The eyes and mouth are embroidered. Rosy cheeks are applied with a little bit of red beeswax. 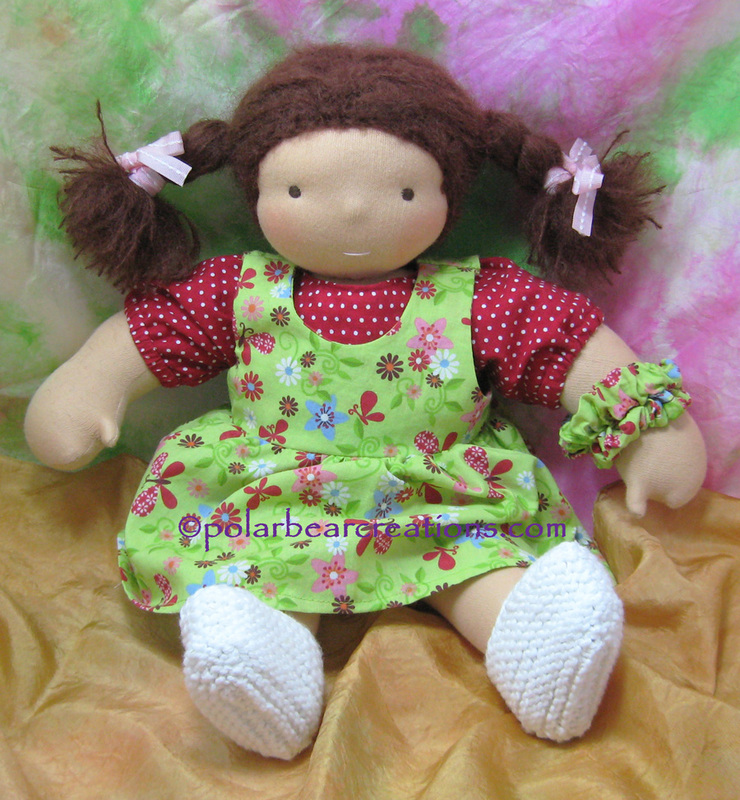 Prices for ready to go dolls vary depending on accessories. Girls come with top, pants, pinafoe, shoes and undies. Extra clothes can be ordered for an additional fee. Please contact me with any questions you my have.